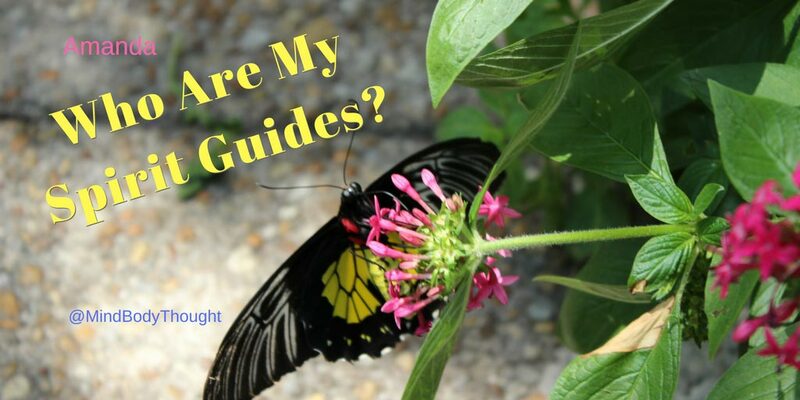 Who Are My Spirit Guides And How Do I Contact Them? One question I get very frequently in readings is: Who are my spirit guides and how do I contact them? It’s totally normal to want to know who is around you energetically and their purpose for being there. Sometimes we just want to contact them in order to say thanks when they get us out of a sticky situation or assist us in some way that is very helpful. My answer to this question who are my spirit guides is always: JUST ASK. It’s interesting that a couple of my clients have put this into practice recently. One of them asked to see an Owl. After the entire day went by, she thought this might be a bunch of psychobabble, but she sat down in front of her computer and called up Facebook. Bam! The first thing she sees is a post of two owls. Another one of my clients had a similar experience with hummingbirds. She asked to see hummingbirds, she waited and she saw hummingbirds. When you seek, you shall find! Once you master these types of experiences you could go within during meditation and ask whether they will reveal their names to you. I know that names are difficult. 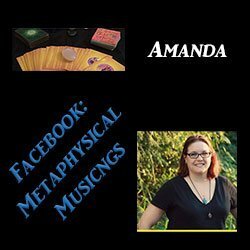 As a medium and providing readings to clients professionally, I’m often asked for names. I know two of my guides names because of some free writing I did a number of years ago. They spelled them out for me! Go within, get quiet and center your energy. In the quiet, you’re better able to hear the voices of your guides and your soul. Welcome them in and ask for guidance on whatever subject you need. Listen for the answer. Set out communication suggestions if that will help you to understand when you are being guided. As my clients did, you can ask for a specific signal or symbol to know that they are with you. Most people have five to seven guides at a time in my experience. Some are with you for life and some come and go. They all have a purpose and help you to learn certain lessons at certain points in your life. To help me answer this question, I’m going to tune in and ask whether my guide will speak through me and tell you a bit about it. One of my largest and most powerful guides who aids me with mediumship sort of looks like a Merlin-type man. He has a long white beard and a white robe and he sits beside me as I do mediumship readings. I believe that he helps me by guarding the portal I open when I do this work. Go figure now that I’m thinking of inviting him in, my computer is suddenly doing strange things. He apparently really wants to come in and speak about who are my spirit guides so I will let him take over. I welcome him with open arms as he writes for me this month. Dear ones, as you transition from one life into the next you make contracts and plans. You decide who is going to guide you through your next life and you choose which lessons you will learn. You choose when you are born and when you will die and you choose your parents and your name. Every detail of your next earth existence is mapped out for you as you prepare to return to earth for a new lifetime. You are so loved and you are so blessed as you leave the other side. We know the importance of the lessons that you are coming back to learn, so we intervene as little as possible. Without your memory of past existence on Earth and without memory of your home as part of source energy, we come with you to assist you. We are unable to intervene unless you ask us to do so. You always have free will and control over your Earth experience. Whether you learn the lessons you have set out to learn is up to you. We are here for you at all times and for different purposes. Some of us will stay with you for a lifetime, others for a moment, others for a lesson. We are your past life bonds, your deceased loved ones or higher energies that you’ve never known. We are your master teachers, your insight and your source of power when the world is dark. To communicate with us is to think of us or to ask of us. Just ask when you need assistance. We are there for you. Remember at your core, you are love and so are we. We resonate on a different level than the spoken word, although sometimes it does work that way. Also, we communicate in ways that you understand, although not always in the way you’d expect. We understand the difference in the frequency and invite you to tell us what works for you. When you make known your desire for communication or assistance, we make ourselves known to you. The earth experience is not solely a place to struggle. It’s a place to experience love and joy in new ways. It’s when the connection is lost with source energy and your vibration drops to the level of the ego, you live in a world of separation and isolation from your source and pure light energy. It is then that it is difficult to make decisions and things become foggy. Ask us to be your beacon. Ask us to light your way and we will. You are never alone and you are never lost. Remember, if you want to know who are my spirit guides, just ask!